How do I know what my child should be learning at different ages and which homeschool programs are the most effective? Homeschooling is often a great option for children with Autism. At one time, the majority of homeschoolers pursued this educational choice for religious reasons, or to avoid local government sanctions. Sometimes these reasons intertwined. However, parents soon realized that individualized education indeed works well, especially for kids above and below the national average in academic ability. Homeschooling is big business. A quick Internet search will reveal hundreds of how-to websites for beginners. All the information you need is readily available, whether it is what curriculum to use, the extent of your local homeschool laws, or finding support for new special needs homeschooling. Here are some tips to get you started. Research your state’s homeschool laws very carefully. Many states have strict requirements and most states have information on exactly what you are required to teach. Some state education websites offer a scope and sequence. This is a breakdown of skills taught by grade level. This can be helpful regardless of your state’s homeschool reporting requirements. Find a state or local homeschool support group. These groups have excellent tips and information for homeschooling right in your community. You can get first-hand assistance on what to teach, when to teach, and how to teach. When searching for a good curriculum, look for websites devoted to homeschool curriculum reviews. These websites publish tried and tested reviews from homeschooling families. Watch out for reviews listed on business websites and also for paid reviews. Some of these can be misleading. Choose your curriculum based on your child’s learning style. Some children learn best from listening, some from seeing, and others from hands-on activities. Homeschooling more than one child may mean a different curriculum for each child. One of the many bonuses of homeschooling with Autism is the ability to tailor an educational program to meet your child’s needs. Each subject is separate-there is no need to follow a set age or grade level. You can match curriculum choices to your child’s strengths and weaknesses. For example, you can use a computer program to teach reading, a video program for math, and unit studies with books from the library to cover history, science, and art. 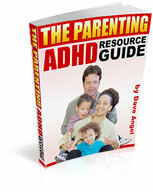 Many homeschool resources are available for parents beginning their search. Books like 1001 Great Ideas for Teaching and Raising Children with Autism Spectrum Disorders, by Ellen Notbohm and Veronica Zysk will give you the guidance you need to create the right homeschool program for your family.